As MI6 reported last week, EON Productions in collaboration with their local production partner India Take One Productions had selected Ahmedabad in north-western India for the 23rd James Bond film to base a car chase through the city streets and a stunt sequence atop freight trains in the Sabarmati railway yard. However, for the filming of the train stunts to take place, the busy line would have to be closed for five days, something that was not possible without hampering the Western Railway timetable in Ahmedabad when they first got permission back in July. At a meeting yesterday between railway minister Dinesh Trivedi and India Take One Productions, the Bond 23 team was asked to submit a shooting plan in the next couple of days. "Once we get the details, we will recommend an alternative route," said a ministry official to the Telegraph of India. "They want to shoot in Gujarat, Mumbai and Goa with the train sequence near Sabarmati. But it’s a busy route and trains can't be stopped there for the shoot." Parvesh Sahani of India Take One said, "The meeting with the railway ministry was very fruitful. Yes, the technical issues need to be sorted out but we are expecting some kind of a solution by the end of this week." 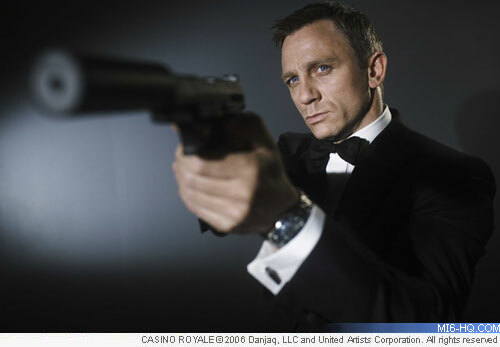 Meanwhile, South Africa's Cape Film Commission has spared no time in mocking the problems the Bond 23 production has experienced in securing the necessary permissions in India, and hopes to have Daniel Craig and company move the shoot to their country instead. "Cape Town welcomes James Bond whenever he decides to visit us," said Cape Film Commission chief executive Denis Lillie to the Associated Press. "This demonstrates how a film project can very quickly go 'off the rails' if the coordination between city and government departments are not in place," said Lillie. "Cape Town would not be happy to benefit from someone else's loss," he said, but added that the city's film-friendliness and bureaucratic coordination had been demonstrated during the 2010 football World Cup and its hosting of big films. "Our city has all the facilities required for a shoot of this magnitude," said councilor Grant Pascoe, a mayoral committee member for tourism, events and marketing. "I would like to assure the producers that we stand ready." MI6 understands that South Africa still remains a shooting location regardless of whether the train sequence is completed in India as first planned. China is also still in consideration for other sequences. The production will be based out of James Bond's traditional home - Pinewood Studios - where filming on the sound stages is scheduled to start in November. The production budget is rumoured to be $135 million. 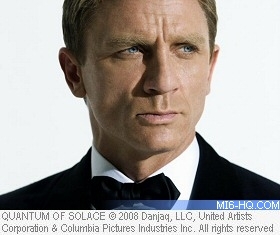 The film, which will be Daniel Craig's third outing as 007, will open in the UK on 26th October 2012.